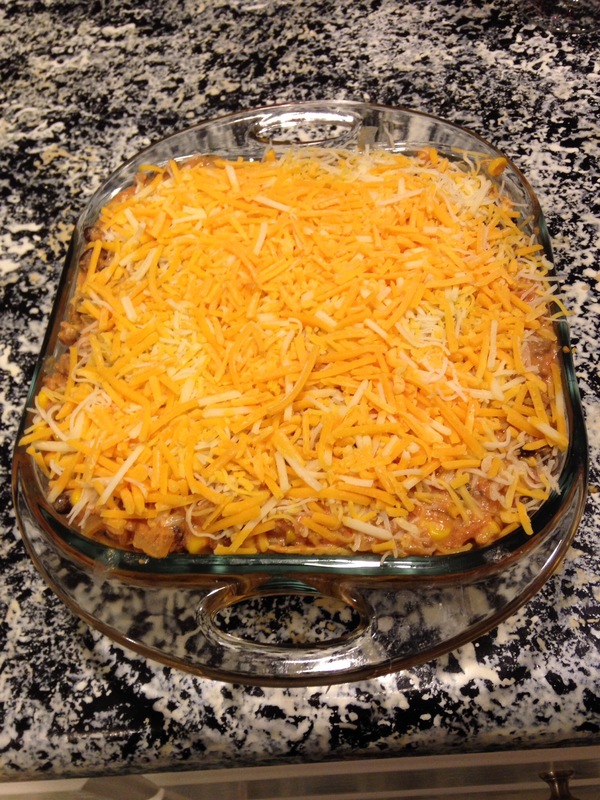 I want to share with you one of the meals a friend brought us during our “just-had-a-baby-and-can-barely-manage-to-shower-much-less-prepare-food” phase: cheesy enchilada casserole. Honestly, I’m not sure why they added “enchilada” to the title, since there is no enchilada sauce in the recipe. 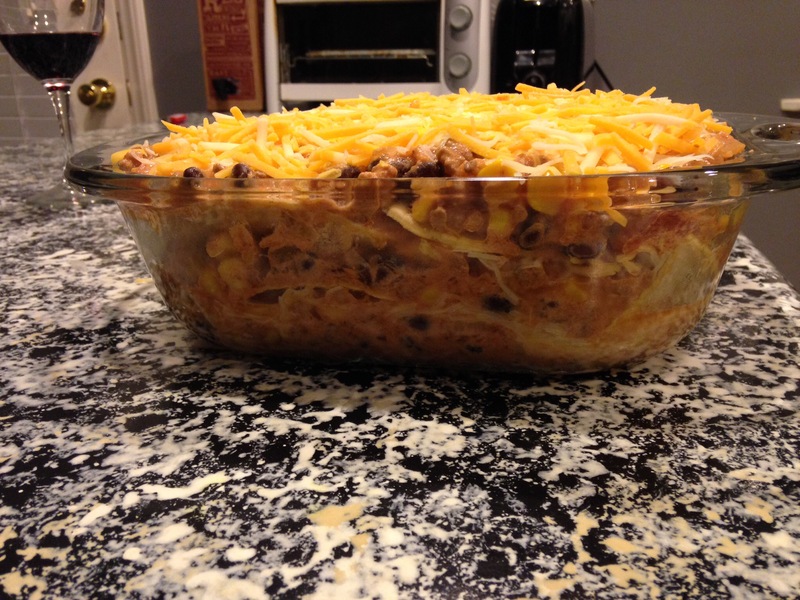 They could really have just called it “cheesy Mexican casserole.” But I digress. I made it for some friends who visited over Labor Day weekend and they have made it twice since then. So obviously, it’s good! Excuse the funny color of the meat- I promise it wasn’t expired and didn’t smell funny! 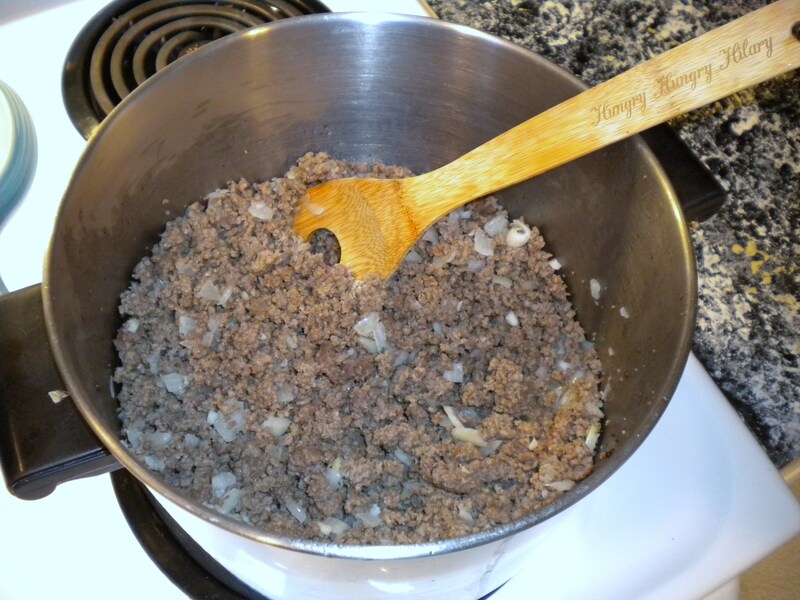 In a large skillet, brown beef. Remove and drain. In same skillet, saute onion until soft. 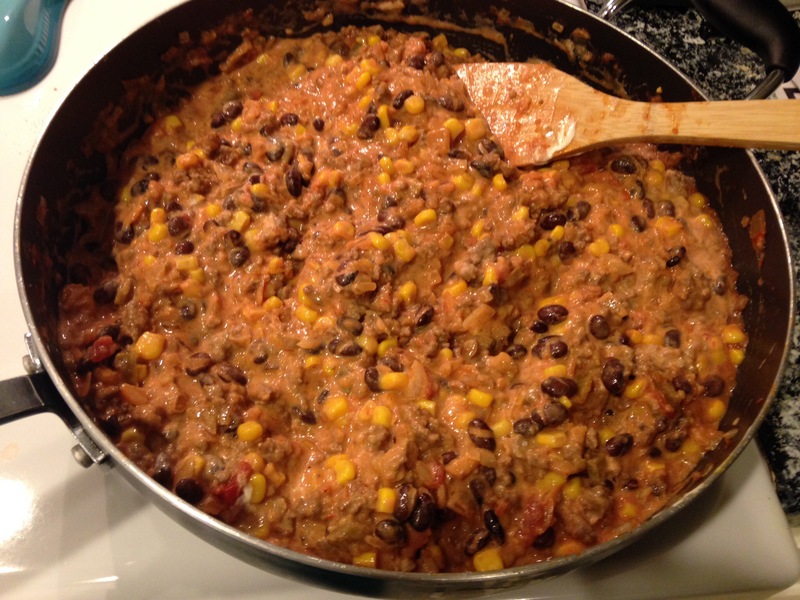 Return meat to skillet and add salsa, beans, corn, dressing, cumin, taco seasoning and sour cream. 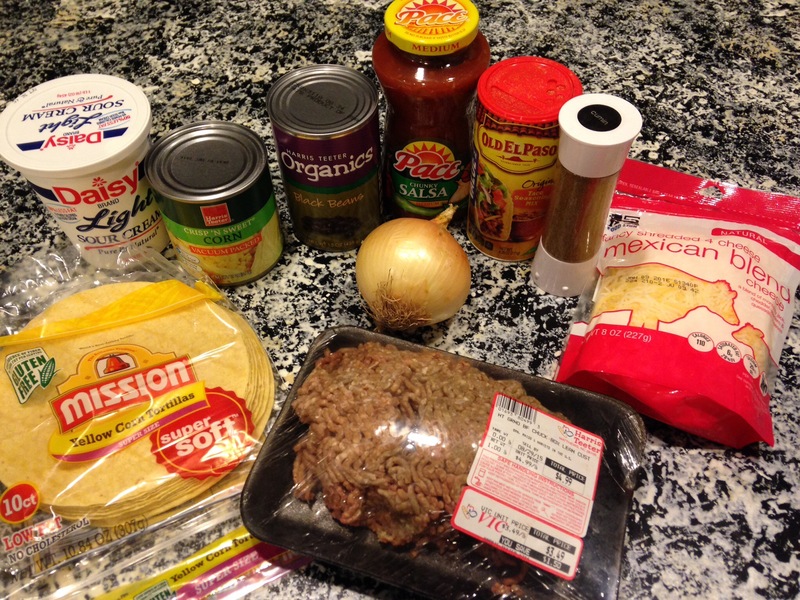 Place a tortilla on top of meat mixture. Layer with half the meat and more cheese. Repeat as many layers as you like. 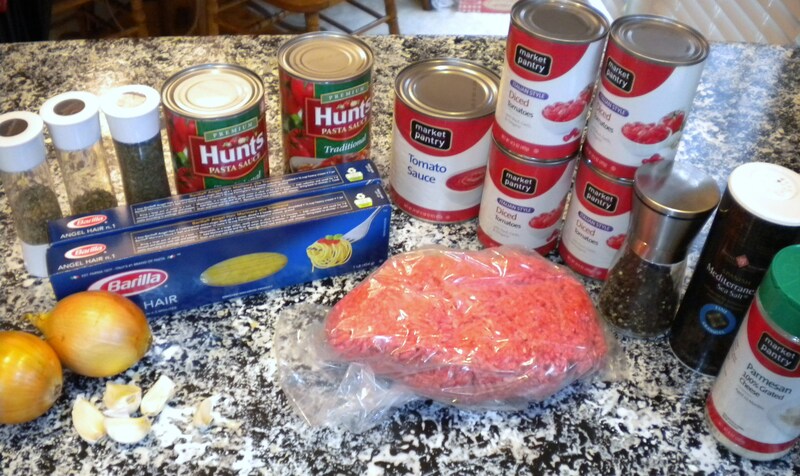 The final layer should be a healthy dose of grated cheese. *I made this ahead of time and froze it. 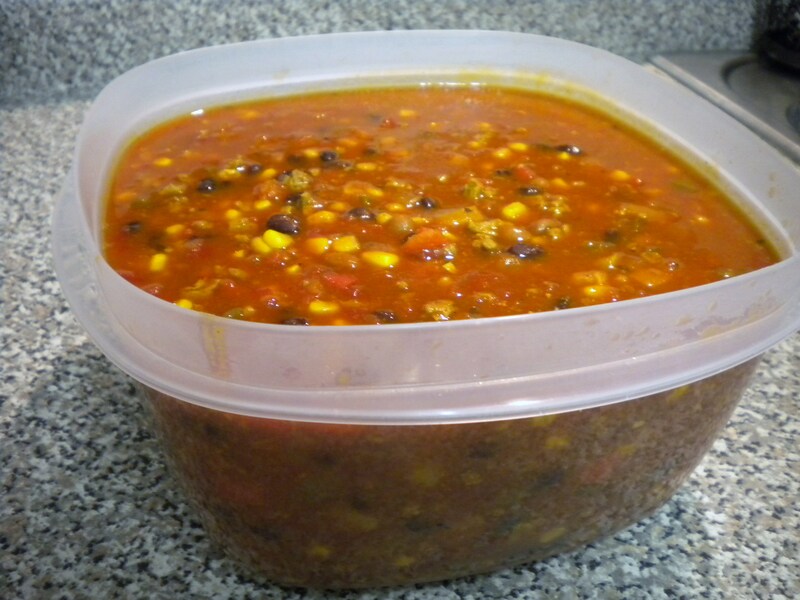 When preparing from frozen, bake for approximately 90 minutes at 350 degrees. 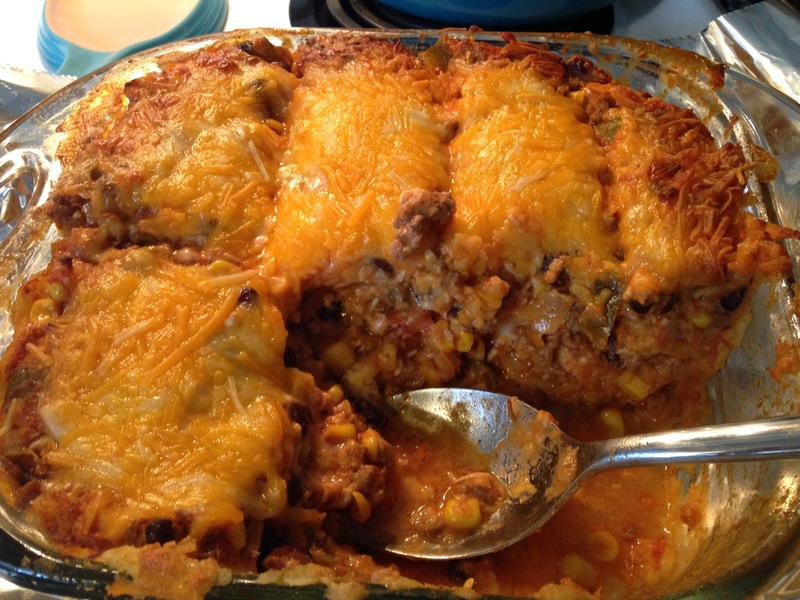 This is a great freezer meal! Why can’t my sides be meat? 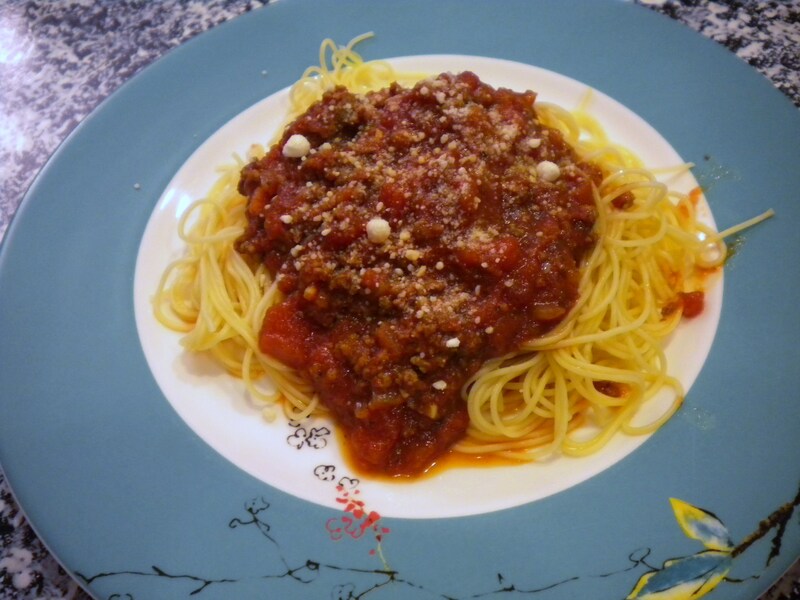 This entry does not include sides comprised of meat; however, I will review a meatball appetizer and a spaghetti and meat sauce recipe (made on separate occasions). 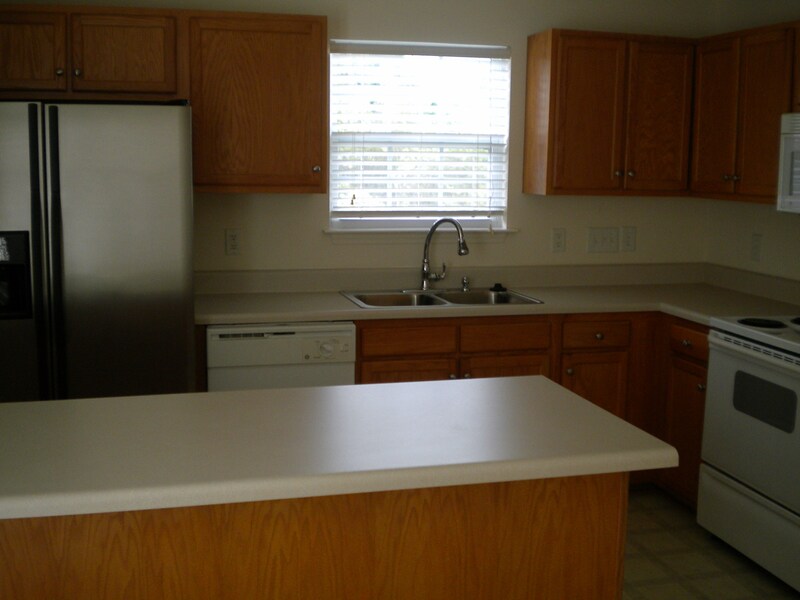 The holidays are fast approaching and with them, social gatherings. You are sure to reach that moment when you just can’t decide what dish to contribute to the spread. Don’t panic! 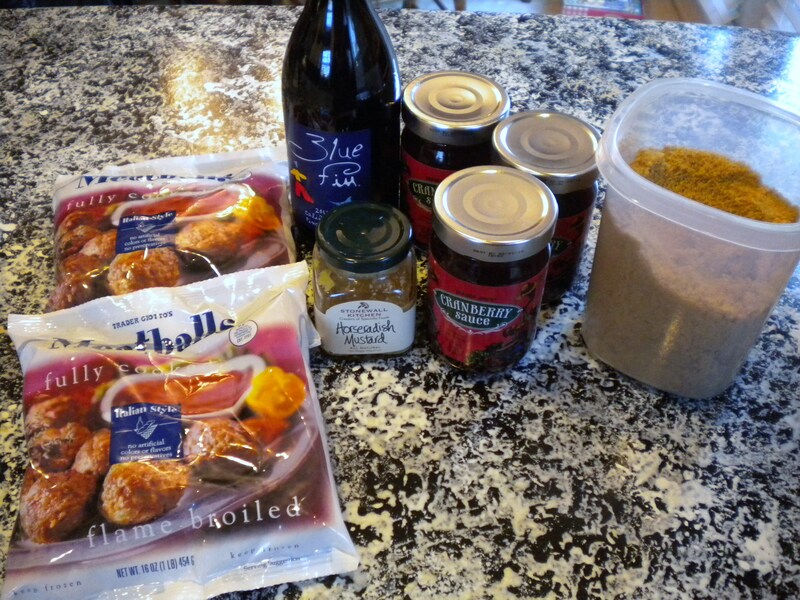 I am here to help with one of my favorite and most well-received appetizers: Pinot noir meatballs. 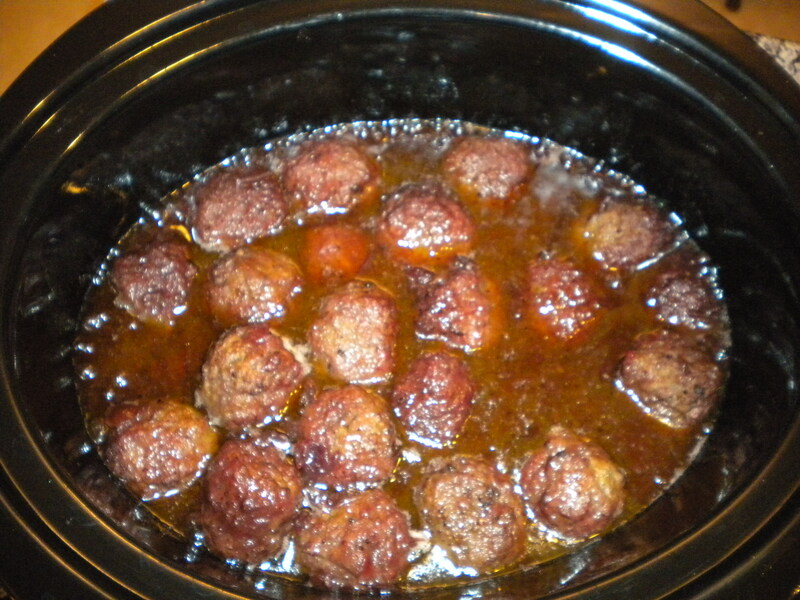 This recipe is very easy (especially if you lazy out like me and buy frozen meatballs) and crazy popular. 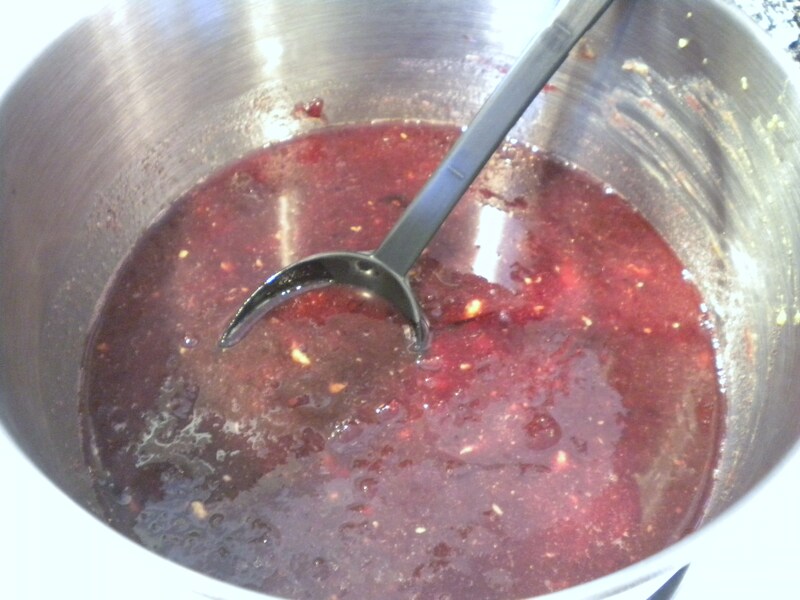 It will make the whole place smell like delicious red wine and is a nice, warm little treat with complex, yet universally satisfying flavors. 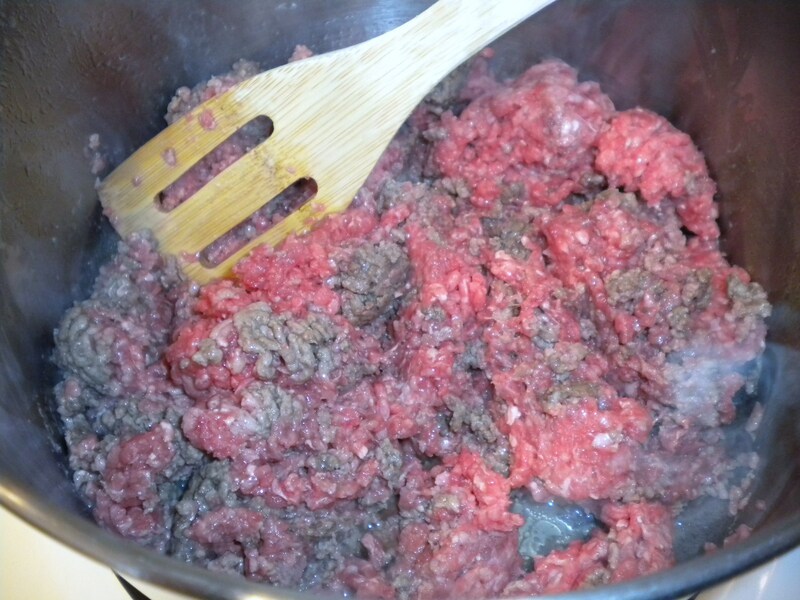 The link will take you to a page which details how to make your meatballs from scratch, but I have taken to using a 1 pound bag of frozen cocktail meatballs (after I made them the first time and realized there was very little difference in flavor). The last bag I got was from Trader Joe’s and, while the meatballs were a little bigger than cocktail size, they were the best I’ve had yet (NOT including my grandma’s meatballs, of course!). This is the point at which I realized I almost didn’t use a big enough pot! 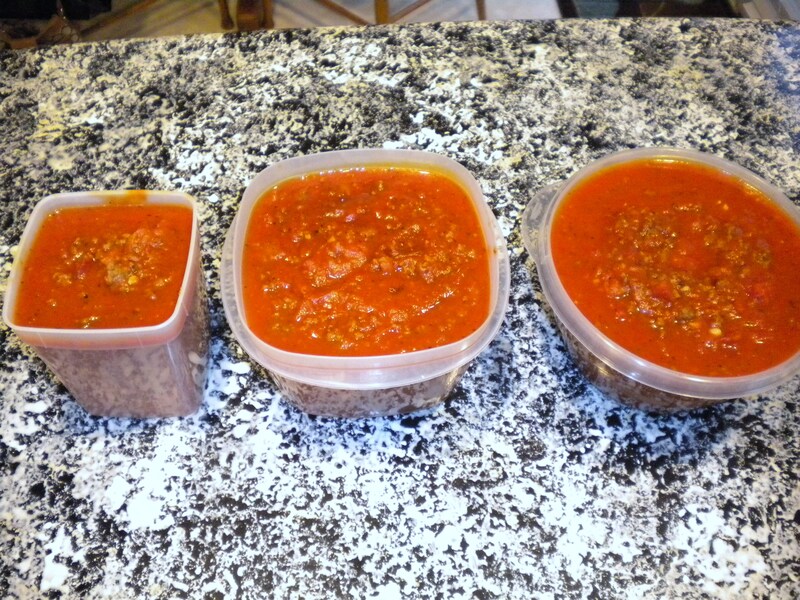 I made a double batch so I could take some to a new mom, feed Dr. Matthews and me for a few meals, and even froze some for later (sauce freezes well but you will need to make fresh pasta when you thaw it out). 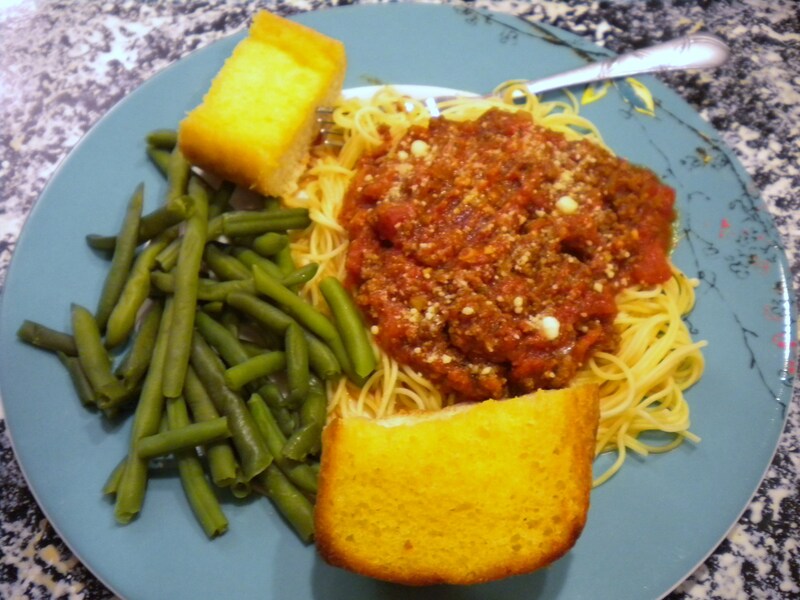 Served with green beans and garlic bread. Yum! Wow. I actually managed to flake out on the entire month of September! But, barely. 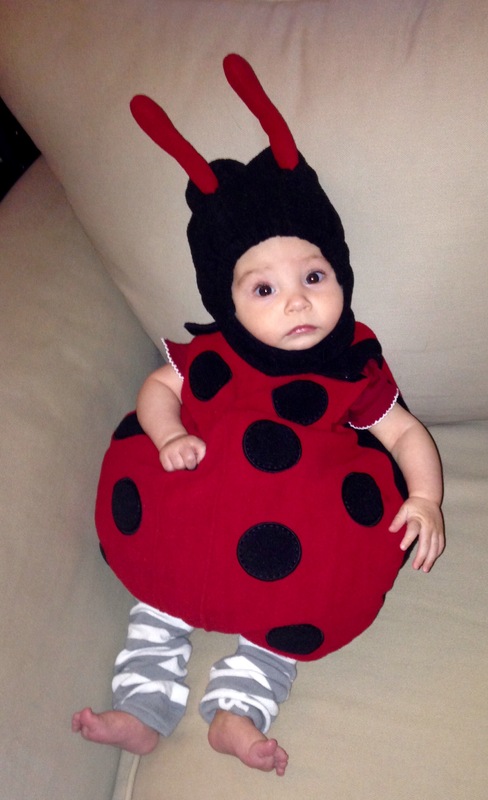 In fact, this post is going up so early on in October that I think we can let me slide. Working more hours than I did in Charleston has taken a significant chunk of time away from both cooking and blogging, but, if I’m being honest, I have to admit that getting back into reading has taken away from these activities, too. Also doing dance classes at the Y. And spending more time with friends (who live nearer than our friends did in Chucktown). And just generally enjoying Winston! OK, enough about Winston. On to the food! 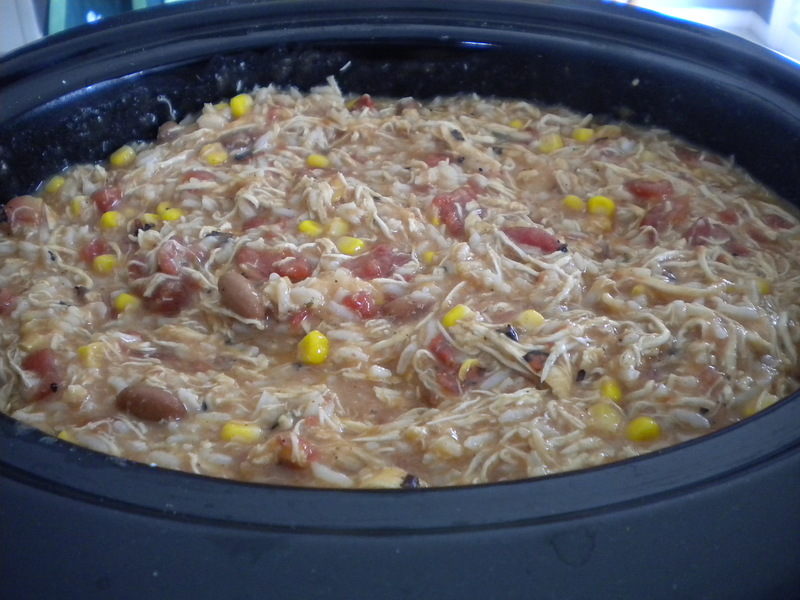 Today we will be reviewing one of my (and Dr. Matthews’s) favorite fall meals: Crock Pot Chicken Taco Soup. I heart this recipe for many reasons- it’s inexpensive, EASY to make, utilizes the slow-cooker AND kitchen aid (I especially love recipes that require I use my larger kitchen appliances, so I feel justified in having them around, taking up space) and is so warm and cozy to come home to on a chilly fall day. Best of all, there is NO chopping of vegetables! I LOATHE chopping onions- I cry my eyes out every time and always have to stop to blow my nose, then wash my hands, before I can continue. It is very annoying. And, while I don’t mind chopping other veggies, my knives are not very sharp and I have been too lazy busy to address this issue. *Side note: I was recently asked what the difference is between a slow-cooker and a crock pot. They are the same exact thing. I usually call it a slow-cooker, unless the original recipe uses the term “crock pot.” I think “crock pot” is an older term, but I could just be making this up. 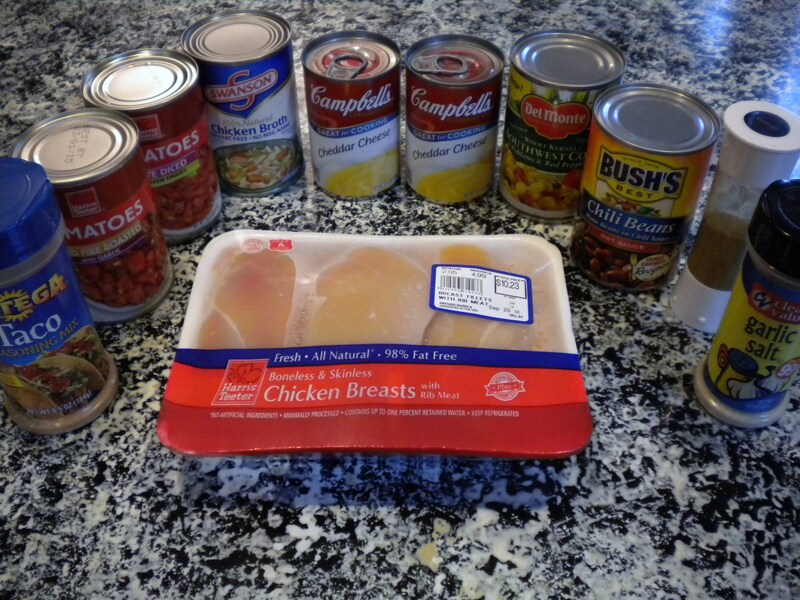 Dump all the canned ingredients into the crock pot. 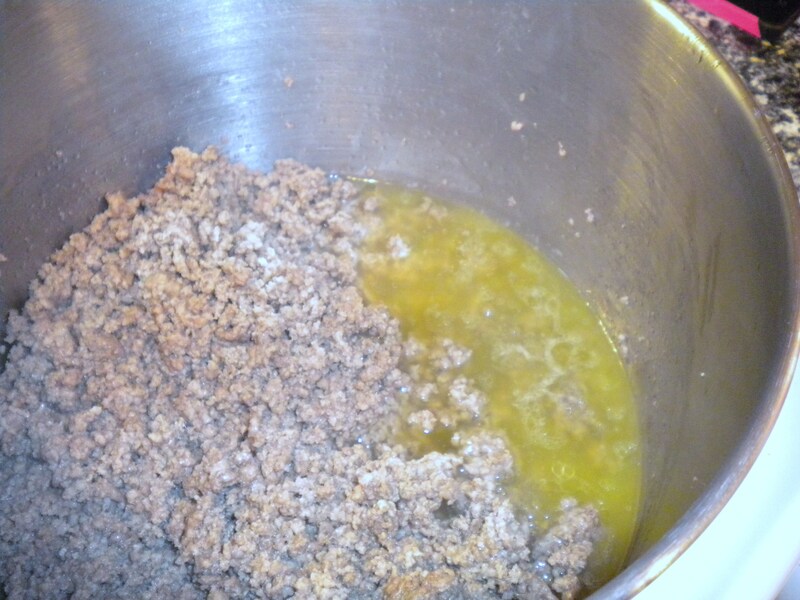 Stir and add the taco seasoning and cumin. 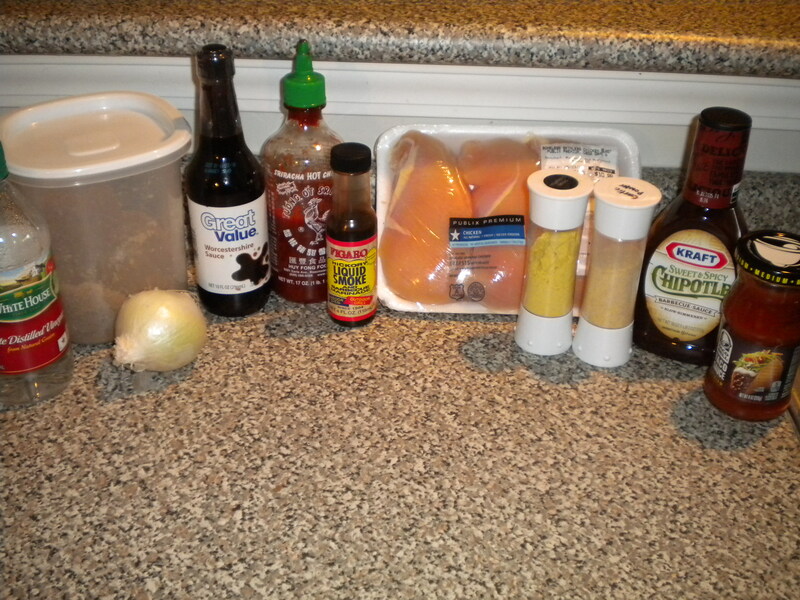 Lay the chicken breasts on top of the soup mixture. Generously sprinkle the garlic salt (or powder) and again sprinkle the taco seasoning. Cook on high 4-6 hours or low for 8 (I do low for 5). After cooking take the chicken out and cut up into small bite size pieces or shred (this is where I use my Kitchen Aid – just plop the chicken in and mix it at a low speed using the white, paddle-like attachment). 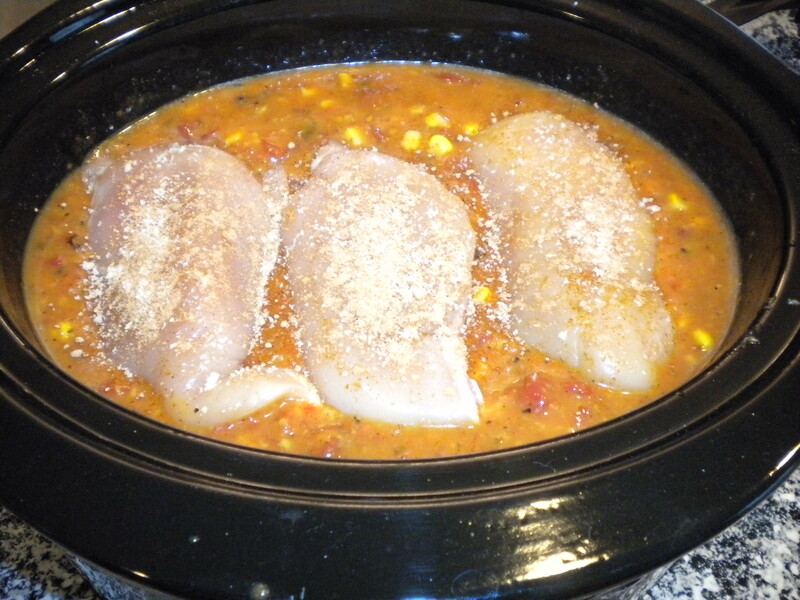 Put chicken back into the crock pot and mix with the soup. I was making this meal for a new mom and so went ahead and added the rice in, to avoid any extra steps. We liked it this way and will probably continue to prepare it like this in the future, as the rice gets more time to soak up flavor. We eat ours with sour cream, some shredded cheese, sriracha and tortilla chips, but you can do whatever you like to fit your tastes. Cooking is something I enjoy most when I’m feeling “homey,” as in, I want to be in my home doing something to make it a more enjoyable place to be through smells and tastes. If the lure of warm weather and outdoor activities didn’t dampen this “homey” feeling enough, the process of packing up our place for the upcoming move certainly has squelched it. I have found that, during our past two moves, there is a period at least a month prior to moving and a month after having moved wherein I feel very unsettled (expectedly so). 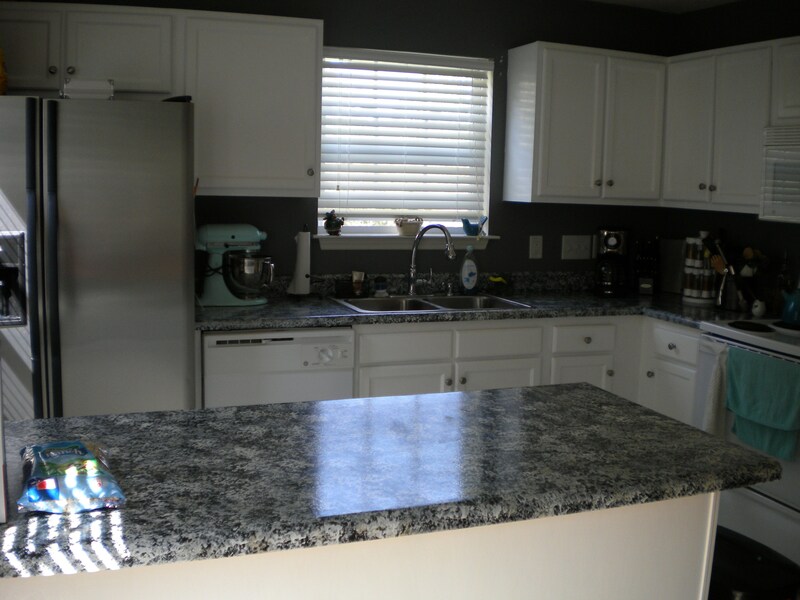 Things are everywhere and, even when my surroundings are fairly organized and kitchen gadgets accessible, my mind feels so distracted with anticipation and to-do lists that it’s hard to even concentrate long enough to decide on something to cook. How do people eat during these times? Seriously- take-out can get expensive and there aren’t always a lot of fresh options. When your dishes are packed and you don’t have the time or energy to cook, what do YOU eat?! That being said, my post today is of a meal I actually made a few weeks ago when our friend, Kevin, was visiting from Chicago. 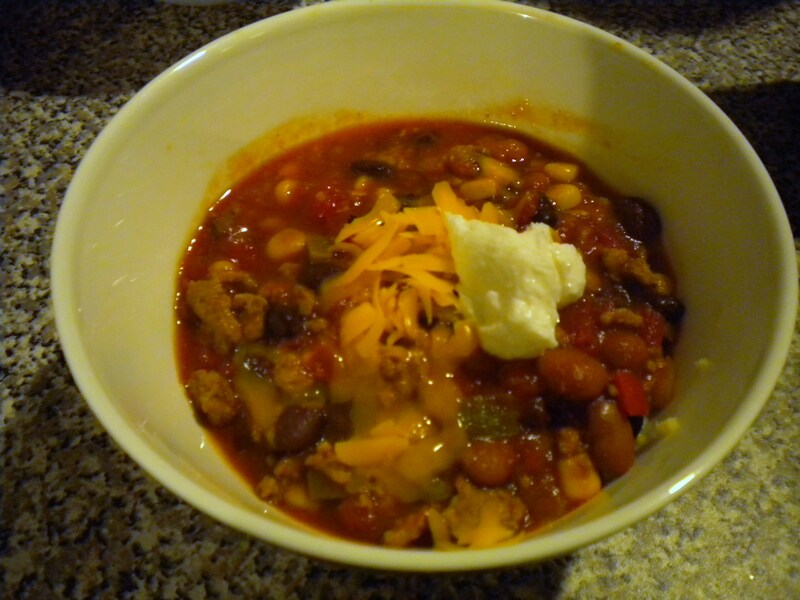 It’s one of my favorite slow-cooker meals and SUPER easy. 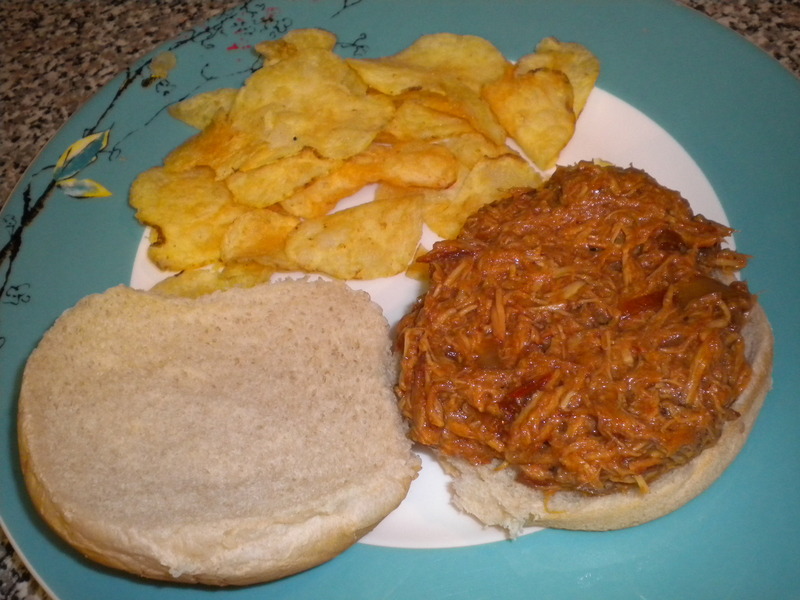 It’s actually one of my favorite meals, in general: BBQ pulled chicken. Most places, I get pulled pork, but I can make smaller batches with chicken and haven’t done too much venturing into cooking pork as of yet (though not opposed). 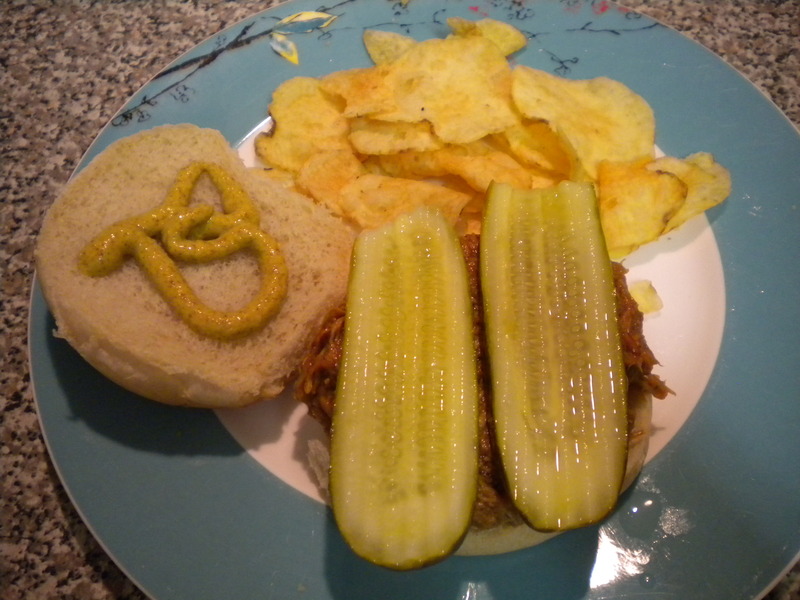 My favorite is to load it up with Claussen sandwich pickles and serve with salt and vinegar kettle chips! This meal is especially good left over, after the shredded meat has had time to soak up more juices. It is a great meal to freeze, also. This is a photo my brother in law, who lives outside Indianapolis, sent me today. They’ve been experiencing sub-zero temps for many weeks, as have my family in Cleveland. Here in the Charleston, SC area, we’ve had what I would consider a mild winter. 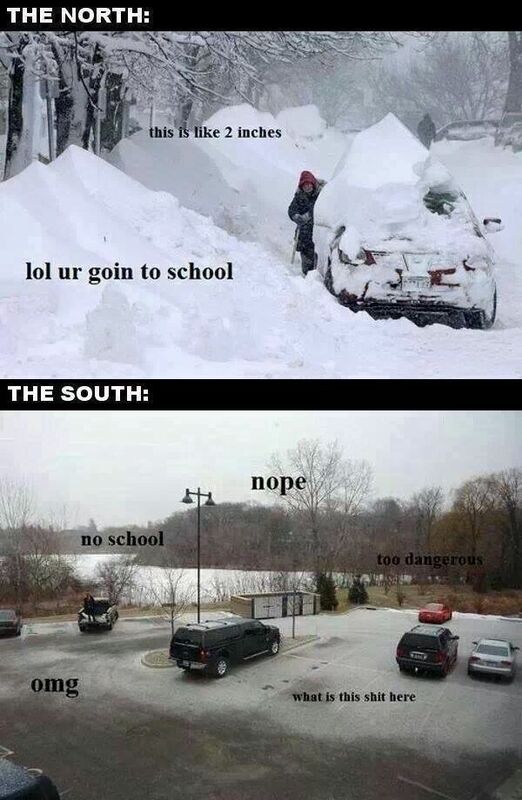 Having grown up in Cleveland and spent the last few years in Indy, I am no stranger to a harsh winter. Months of dry, cracked skin and lips, muscles sore and tense from shivering, the feeling of just not being able to get warm unless I took a hot, hot bath… ::shudder:: Makes me cold just thinkin about it. So, Charleston and the surrounding areas have been essentially shut down since last night, including several bridges. If you’ve ever been to Charleston, you know nobody can get around here without going over a dang bridge! Plus poor Dr. Matthews slipped and fell on ice this morning so we know there was real danger, even though we initially mocked the citizens here for their seemingly premature terror. Will be back in the 60’s and maybe reaching 70 by this weekend and I can’t wait! Dr. Matthews had to work but I stayed home and mostly spent the day deep cleaning the fridge (it was a lot of work- and our fridge wasn’t even that bad!). I also listened to the latest sermon from Seacoast, since I missed the service on Sunday due to laziness not wanting to go by myself really there was no good excuse. The message was on strengthening our physical core, the final in a series about core strengthening which was preceded by messages on spiritual, financial and relational cores. I struggle with each of these to varying degrees, but have to say I think I do fairly well in the physical arena. Could I be in better shape? Yes. 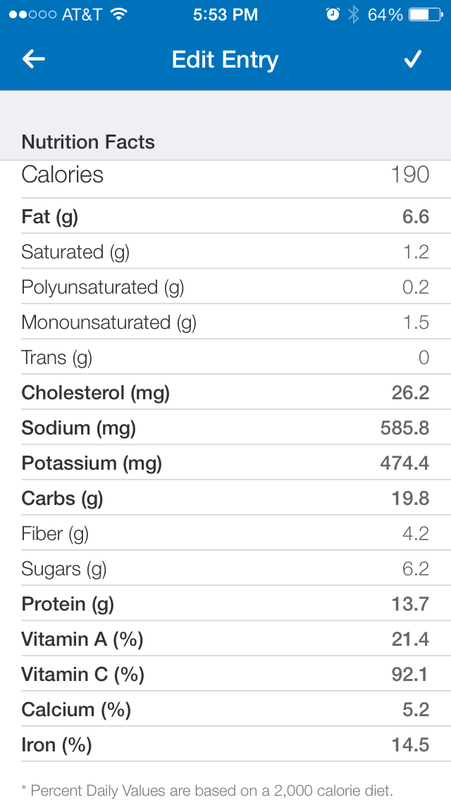 Could I eat healthier? Absolutely. But I think I make a pretty good effort at portion control, regular (if not vigorous) physical activity and eating my share of veggies and grilled chicken. I respect that the church was willing to focus on what could be considered a taboo subject. That being said, I wanted to cook or bake something today but didn’t want to risk the bad roads to go to the grocery. I ended up making Magic Cake, which was great for a day like this, as it only calls for milk, butter, eggs, flour, sugar and vanilla, all of which I had on hand. I was worried about how it’d turn out since I’m not much of a baker and I had a hard time separating my eggs. I ended up with egg whites that were really more yellow than white and didn’t quite fluff up the way they did in the instructional video. It turned out just fine, however, and since I’m a big fan of custard, I was a fan of this. It’s not flavor-packed or super sweet, so it’s not quite up Dr. Matthews’s alley, but I think it could be improved by making the fruit version or putting fruit on top. 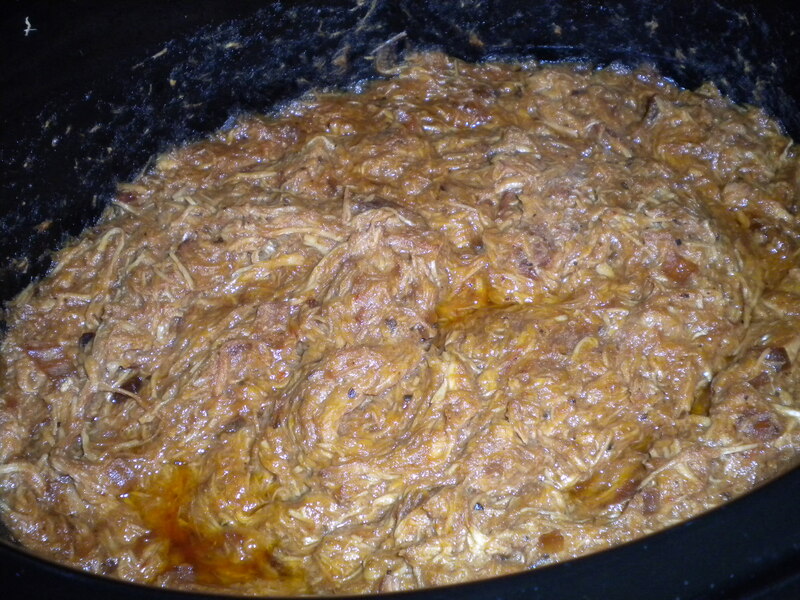 Brown meat in a large pot over medium heat. Pour into a colander to drain off some of the fat (but leave a little in which to cook your veggies!) and set aside. Add peppers, onion, garlic and jalapeño, chili powder, cumin, oregano, salt and pepper to the pot and cook until just soft. 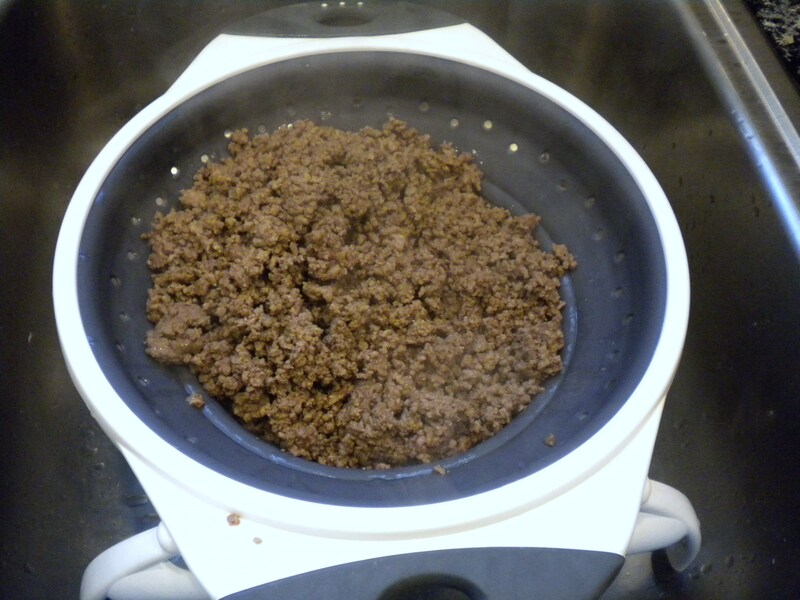 Return meat to pot halfway through, allowing the flavors to permeate. 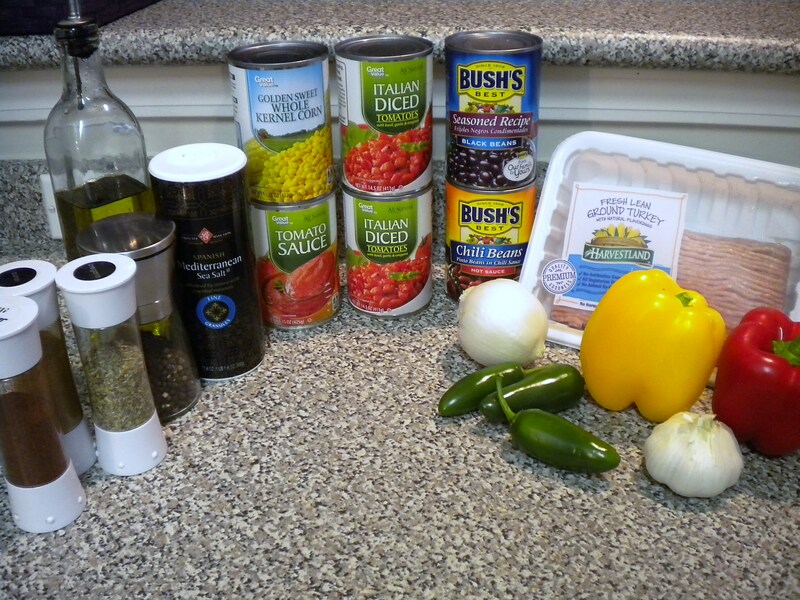 Add diced tomatoes, corn, beans and tomato sauce. 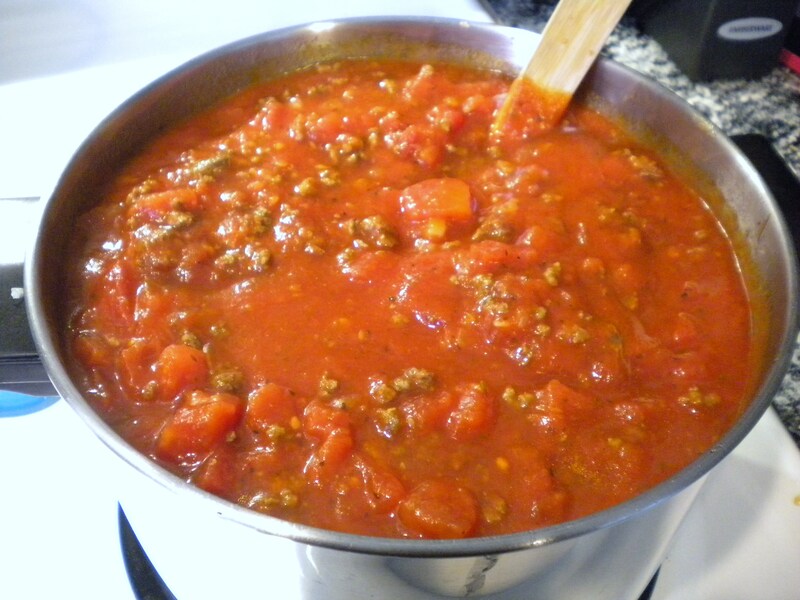 If a thinner consistency is desired, add 1/2 to 1 can of water with the empty tomato sauce can. Heat through then turn heat to low. 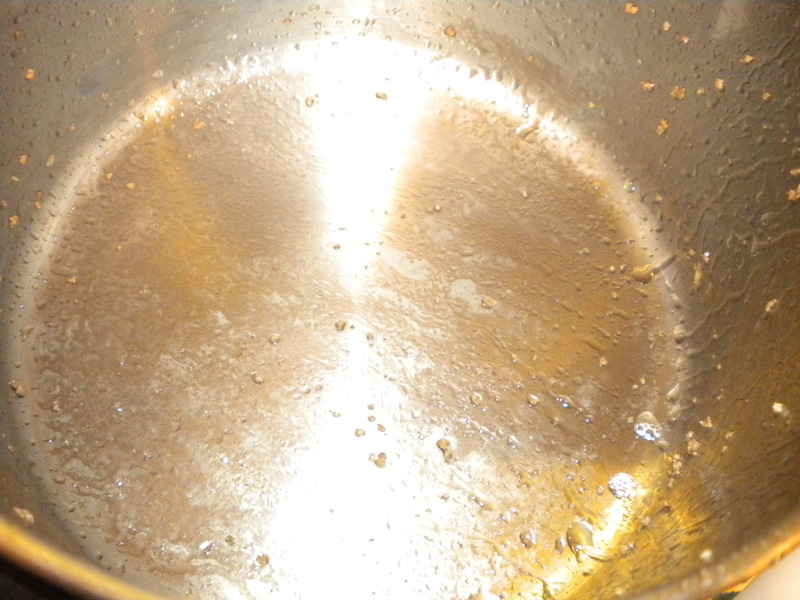 Cover and simmer up to 1 hour. 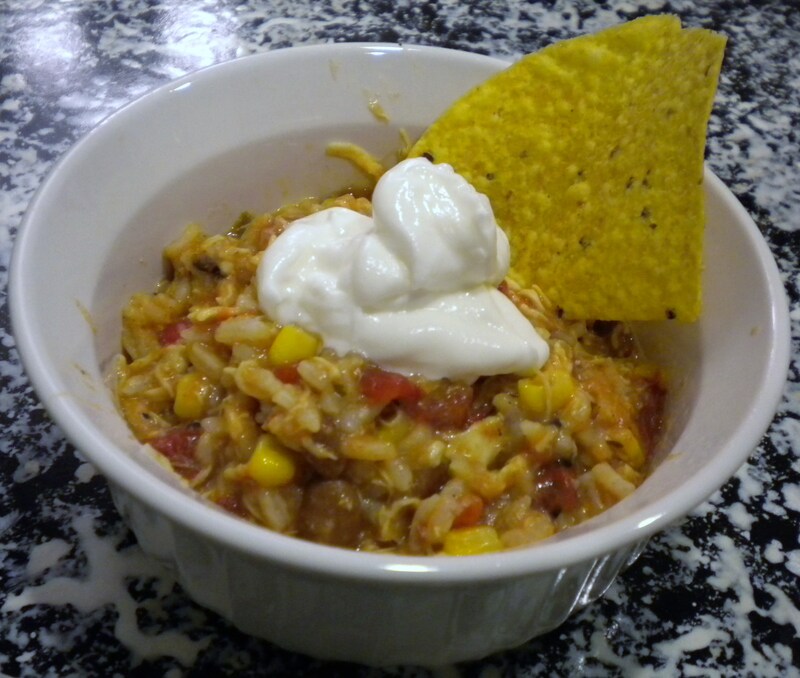 Serve with sour cream, shredded cheese, sriracha, tortilla chips, rice, couscous, pasta, whatever tickles your fancy. If desired, serve over rice, couscous or pasta. Top with cheese, sour cream, hot sauce, sriracha, green onions, whatever your heart desires. (I like to eat it with tostitos.) Freezes great and is perfect for those “chilly” (or icy) days!